Let’s face it: Shopping has come a long way. Not only has online shopping and ecommerce had a great impact, but simply walking into a store today is becoming more of an experience. The successful retailers of tomorrow will master the art of experiential design in order to meet the evolving expectations of today’s shoppers. One piece of this evolution is for retailers to offer an ‘exhale’ experience in response to today’s stressed out shopper. A National Retail Federation article explains that the “challenge for a retailer today is to rise above a line item on a to-do list; it’s to provide a solution to shoppers’ needs — in a way that gets the shopper to emotionally slow his pace and breathe.” Shoppers want to feel relief, comfort, and be inspired by their shopping experiences. Walking in or even by a Nordstrom will evoke feelings of grandeur balanced by a sense of simplicity and hospitality. With higher end prices and designer brands, the store may seem out of reach for most shoppers, yet it continues to appeal to a variety of different types of people. 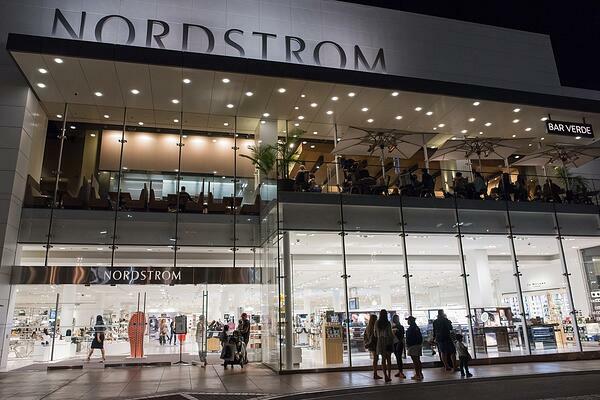 Fantastic experiential design plays an important role in Nordstrom’s success. Glossy, pristine tiled floors, spacious floor design, highly engaging and responsive customer service, and extraordinary amenities set this retailer apart. Take for example their store in Del Amo Fashion Center, Torrance, CA, which opened in 2015. Technology will continue to create new strategies in experiential retail design. Together with the goal of creating a memorable experience, such strategies will continue to guide retailers in appealing to today’s shoppers.